Happy New Year to the Trees with More Pickled Veggies! We are celebrating yet another New Year – the New Year of the Trees. In the old times, in ancient Israel, this day, 15th of the month Shevat, or Tu b’Shvat in Hebrew, was celebrated as the earliest day when trees started bearing fruit. Later on, during the Middle Ages, the great Kabbalist Rabbi Issac Luria, known as the Arizal, invoked the biblical phrase “man is a tree of the field” (Deuteronomy 20:19) and instituted a symbolic and intensely spiritual celebration. On this day, we eat fruit, especially the kinds of fruit originated from the Holy Land, and reflect on the meaning of Tree of Life. 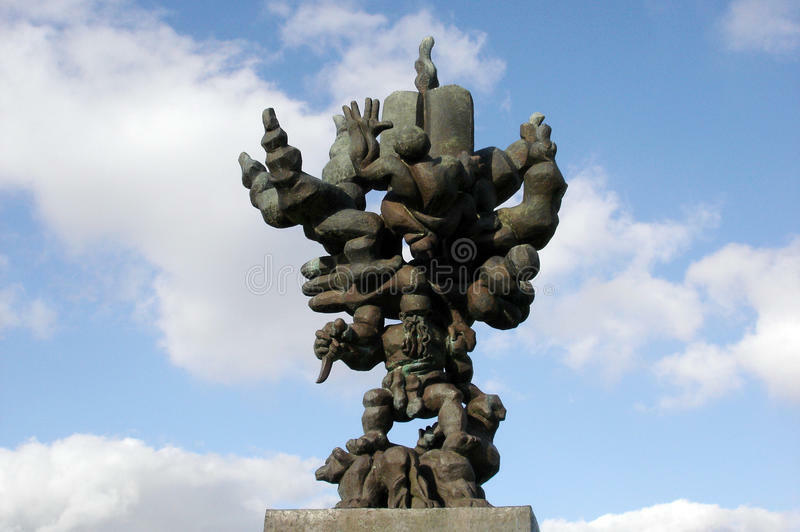 Our Tree, by a renown sculptor Jacques Lipchitz, presents our forefathers: Abraham as the root of the tree, Isaac as the strong trunk of it, and Jacob, from whom sprung the beautiful branches of the entire humanity. I was privileged to be inspired by this masterpiece day after day, as I entered the South Campus of Florida International University, where I taught for many years. It is one of the gems of FIU Sculpture Park collection, started by Martin Margulies, that constitutes an important part of the Frost Art Museum, the only free museum in Miami (do not skip this experience, Beautiful People, if you ever come to South Florida!). Having escaped the Russian revolution, young Chaim Jacob Lipchitz burst upon the artistic scene in Paris, where he befriended, among others, Pablo Picasso and Amadeo Modigliani. This is a portrait of Jacques and his wife Berthe by Modigliani, now held by the Art Institute of Chicago. Lipchitz was lucky to have escaped again, right before the Nazis’ occupation of Paris, and the United States got lucky to welcome an illustrious artist. He lived a long and productive life and was buried in Jerusalem. His villa Bozio in Tuscany has been donated to Chabad Lubavitch, and now hosts a thriving annual summer camp. Our tree, with its beautiful branches, is bearing fruit! Today, the New Year of the Trees is celebrated as the day of ecological awareness, and the new tradition is to plant trees, as a part of the celebration. As you listen to this exuberant rendition of Vivaldi’s Primavera (the Spring part of his Four Seasons), please take a moment to read a poignant short story by one of my students, Kevin Behshid, who writes in English, although it’s not even his first of second language (I think I’ve lost count of Kevin’s languages at some point). The shadow was tall, and passing of time made him humpbacked. He was at a small lake. Breeze was playing with his arms and changing his senile face in the water. He looked at himself on the water of the lake and remembered all the times that he had come there and had watched himself for many years. Two hundred years had passed. He remembered when he was strong, big, and not curved. He had been marvelous home for many tired creatures and heaven for many birds. He had been witnessed of many happy lives. Shadow stooped and disappeared. Little, young sparrow was watching the shadow, and many other shadows came to the lake for the last goodbye. Little sparrow felt alone; he was thinking about his family’s happiness that was faded. He remembered how he was playing with the shadow by making the ripples on the water of lake. They were hundreds of creatures that were living in that oasis. All days of jumping, playing, and laughing with his siblings are gone; he was so alone. He couldn’t accept going to another lake. The sun came up, but there was not any shadow anymore. All the old big trees had been cut by the woodmen. Very soon, lake couldn’t stand to miss her friend shadows, and she disappeared. Little sparrow had no home and no hope. He forgot his dreams; he submitted to his destiny. Dry sands that left from the little lake is the grave of the little sparrow cadaver now. Little heaven became a big desert like hell*. *In many countries, many lands are devastated by removing the jungles. Today, in addition to fresh fruit, I have pickled greens on my table. This colorful bunch is Mangold, AKA Swiss Chard, AKA simple beet greens. You’ve already met it here, and my favorite purple friend Melinda of http://www.purpleslobinrecovery.com has already asked for “womangold.” Let’s see if we can make some! Mangold is joined by “superfood,” fresh beautiful kale, stems and all. Together, they undergo the icing, salting, and rinsing procedure described here. Both luscious leafy veggies will happily mix and mingle in a glass, ceramic, or enameled container. Do not bruise them with a knife, G-d forbid, and do not use metal or wooden containers – naturally fermented foods don’t like it! You can tear the leaves and stems into pieces as large or as small as you prefer, and you can also throw in as much garlic as you like. Dissolve sea salt in boiling water and cover your pretty greens with this solution. That’s it! Cover, put in a warm place for a couple of days, and you’ll have delicious and extremely healthy “womangold” to tickle your taste buds, enhance the beauty of your holiday table, and hopefully, make you realize our duty, as the branches of the Tree of Life, to preserve our environment. Happy New Year to the Trees and the rest of our Creator’s green goodness! Tear Mangold and kale into pieces, including stems, place in pickling container. Cut garlic cloves into halves lengthwise, add to greens. Dissolve sea salt in boiling water, pour over greens. Cover, position in warm place, but not direct sun. Taste after 2 – 3 days, refrigerate when ready. Wonderful post with such heartfelt love to our grand trees. The antennas of this planet. And another great recipe! Hugs and thank you. Thank you so much, dear Ren! I’ve always said you were a poet – “antennas of this planet” is such a wonderful metaphor! Dolly, you opened my eyes to poetry long ago, I am grateful to you and you are very welcome. Much love and many blessings to you, dear friend! Such a sweet sad story. Well done to your student. Thank you, dear friend! I will relate your comment to him. Thank you, dear Xenia, Eivor, and Pearl! LOL Poor snake had lost his little legs, as a result of this adventure, and was cursed to crawl on his belly forever! Interesting point about the Church owning all forested land in your region – I didn’t know that. I was vaguely aware of that, but no to this extent. Thank you for educating me, Michael! Really? There is a way to get compensated for this kind of abuse? I try not to get into politics of other religions (I have enough of my own), but this seems like a positive movement. Thank you so much, dear Nonna! I love the way you celebrate history, art, literature, music, language, culture, religion, and food all in one post! Thank you so much, dear Linda! I think everything is intertwined, and I am excited by every manifestation of life in all its beauty! Thank you, and the same to you, dear Ronit! What a lovely tradition, to celebrate trees and nurture them. Thank you so much, dear Mimi, for a lovely comment! Thank you so much, dear Carol; I know you love pickled things, so it should be right up your alley! You too, darling; keep them coming!